Paule Marrot (17 April 1902–22 December 1987) was a Parisian textile designer widely known for her textile prints with a flat, two-dimensional, upbeat style — often with a floral pattern. She experienced strong popularity in the U.S. after World War II, worked with Renault to develop the company's textile and color division, and redefined furnishing fabrics in her native country of France. Paule Marrot was born Paule Félicie Hélène Marrot in Bordeaux on 17 April 1902, to a bohemian family with a musician father. Marrot attended L’école des Arts Décoratifs in Paris at age 14 and in 1917 apprenticed in engraving and textile printing with Pierre Léon Dusouchet. Marrot became a teacher and was selling some of her original textile designs when she met Raoul Dufy, a Fauvist painter, who in turn introduced her to Paul Poiret, a prominent fashion designer at the time — to whom Marrot subsequently sold a dress design — and ultimately fabric for his work. In 1925, Marrot shows printed fabrics at the Worlds Fair's International Exposition of Modern Industrial and Decorative Arts that showcases to her personality and new style which wins her a gold medal. Winning the Prix Blumenthal in 1928 allowed Marrot to open her workshop in Batignolles on at 34 rue Truffaut, where she became widely known for furniture textiles. In 1932 her work was exhibited in the Salon des Artistes Decorateurs show came to the attention of Jean Schlumberger, an Alsacian textile manufacturer with Manufacture Steiner de Ribeauvillé. 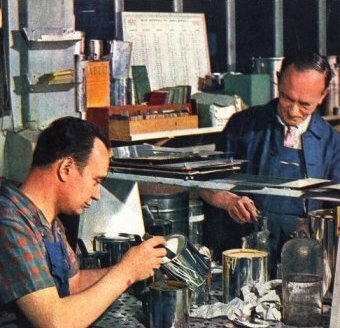 Schlumberger became her exclusive printer and a devoted friend for 30 years until his death in 1963. Together they produced over 320 fabric designs and numerous table linens. Marrot moved her operation to rue des Arcades in 1936. 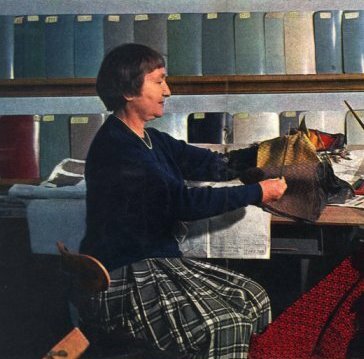 In May 1959, she exhibited her work at Stockholm's Artek gallery, which had distributed her line of 104 printed fabrics and 28 tablecloths since 1935. From 1961 to 1968 Marrot collaborated with Zofia Rostand, whose student she had been in 1960. In 1950, the president of General Motors had visited automobile manufacturer Renault, noting the cars' drab colors, inside and out. According to Renault's own preliminary research for the upcoming Dauphine, a 1951 survey had shown that women held stronger opinions on a car's colors than the car itself. Coincidentally, Marrot had written a letter to Renault's chairman, Pierre Lefaucheux, giving her opinion that the postwar cars of Paris were a uniformly somber parade — and wondering whether an artist could not help find fresh, vibrant colors. Convinced of her value to the project, Pierre Lefaucheux made her a member of the Dauphine team — "to rid Renault of their stuffy image. After decades of being dipped in various shades of black and grey, car bodies [would be] painted in happy pastels." Working with four others, Marrot proposed new body and interior colors after setting up a new test laboratory to measure fabric wear as well as paint wear and uniformity. The new colors contrasted with the colors from the competition, the Peugeot 203 and Simca Aronde, including bright colors with evocative names including Rouge Montijo, Jaune Bahamas, Bleu Hoggar and Blanc Réja. Marrot and her team then developed complementary interior fabrics for the seats and door panels, turning to Paris' large textile houses. Marrot also designed the Dauphine's emblem, with three dolphins over a crown, which would adorn the Dauphine's steering wheel and hood throughout its production. Over 2 million Dauphines were produced in its production run of 10 years, each bearing Marrot's imprint. ^ a b c d e f "Des femmes et des hommes... (The women and men... (of the Dauphine))". Dauphinomaniac, (translated from French). ^ a b c d e f g h i j k "About Paule Marrot". Hayden Harnett, Haydenharnett.com. ^ a b c d e "Paule Marrot (1902-1987)". Delgreco Tiles, Paule Marrot Editions. ^ "Historique". www.paulemarrot.com (in French). Retrieved 2017-12-11. ^ "Des femmes et des hommes... (The women and men... (of the Dauphine))". Dauphinomaniac, (translated from French). Pierre Lefaucheux, had been put on notice and thus decided to organize a new effort in this area. He was helped in the matter by a letter he had received from Paule Marrot, who was pained at the endless parade of somber cars in Paris, wondering whether an artist could not seek more merry and fresh colors of body. Pierre Lefaucheux, en homme avisé, décida donc d'une nouvelle organisation dans ce domaine. Il fut bien aidé en cela par une lettre, qu'il avait reçue de Paule Marrot, qui s'affligeait de ne voir défiler dans Paris que des voitures uniformément tristes, se demandant si un artiste ne pouvait rechercher des couleurs de carrosserie plus gaies et fraîches. ^ a b "History". Cafe Restaurant Dauphine. Archived from the original on 2010-02-09. ^ "All sizes | Renault Dauphine Poster | Flickr - Photo Sharing!". Flickr. Retrieved 2013-10-10. ^ Timco. "Museum of Printed Textiles of Mulhouse". Musee-impression.com. Retrieved 2013-10-10. ^ "Rowe Furniture - Rowe Fine Furniture - Clayton Marcus - Chair - Paule Marrot Collection". Furniture.about.com. 2013-07-14. Retrieved 2013-10-10. ^ "C'est La Vie | Nike Dunk x Paule Marrot". Thisislavie.com. Retrieved 2013-10-10.